Boy oh boy! It feels like we've been working up to these markets for such a long time! 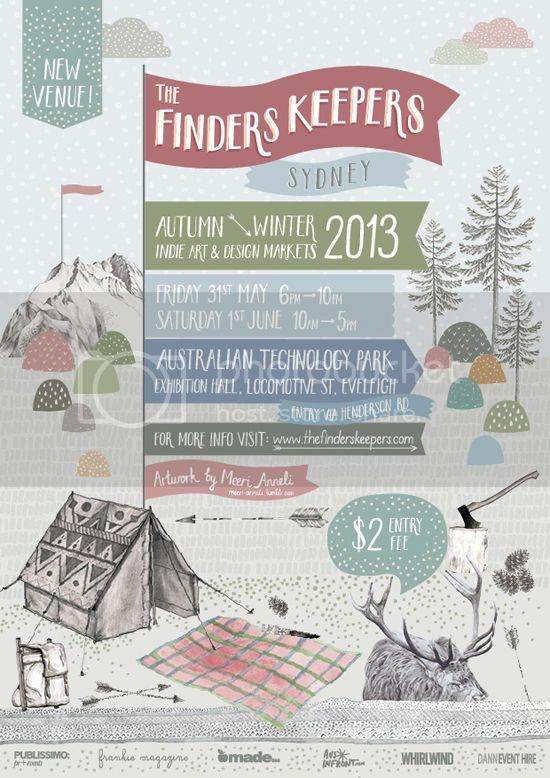 The Finders Keepers markets are finally on tonight and tomorrow during the day, at Australian Technology Park. We're packing up our car with backing boards, scarf stands, boxes and boxes of scarves, clocks, brooches, notepads, everything! We're so excited and hope to see you there! If you come to the markets, please introduce yourself and let us know you read our little blog here. We love meeting new people! We'll be back on Monday with some photos from the markets, I'm sure!